Two men from Illinois were arrested for trying to join ISIS. Army National Guard Spc. Hasan Edmonds, 22, was arrested at Chicago Midway International Airport Wednesday night while he was attempting to fly to Cairo. His cousin Jonas Edmonds was also arrested. Court records from suburban Atlanta show that Jonas Edmonds was charged along with two others in the 2004 armed robbery of a McDonald’s restaurant. He pleaded guilty in 2005 and was sentenced to 15 years in prison. Records show he was released in June 2010. A National Guardsman arrested for supporting the Islamic State of Iraq and Syria, or ISIS, had allegedly planned an attack on a military post in Illinois, the Justice Department said Thursday. Army National Guard Spc. Hasan Edmonds, 22, was arrested at Chicago Midway International Airport Wednesday night while he was attempting to fly to Cairo to allegedly join ISIS, the department said in a statement. 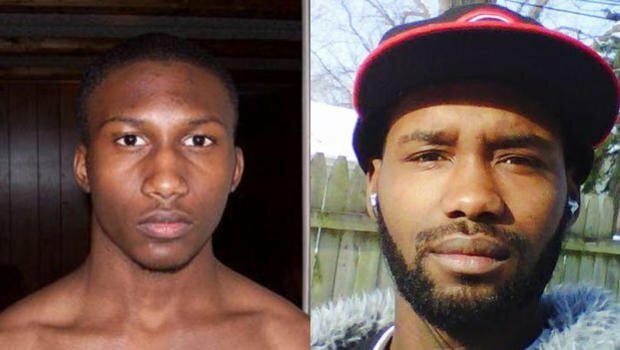 Members of the FBI’s Joint Terrorism Task Force in Chicago also arrested Edmonds’ cousin, Jonas Edmonds, 29, a member of the Illinois Army National Guard, at his home in Aurora, Illinois. Both men are U.S. citizens.